Todays guest has come onto the show to share his story, as he works towards the life that he truly wants. Perhaps, he is already at that point already, and he can’t believe that his life can get any better either. Starting his career in the education system, he has from his first working days been a person that looks to build health and wellness into his life. 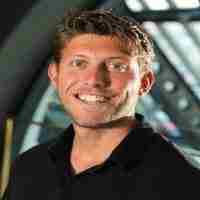 He focused on coaching triathlon programmes as a Personal Trainer, Triathlon Coach, Youth and Junior Triathlon Development for Tri-Fi Health and Wellness and Chelsea Peirs, particularly looking at ways to tackle the problem of childhood obesity. But these activities were just the foundation to where he is now, with his online platform the Traveling Cup, and of course a podcast thrown into the mix too. In the summer of 2013, a former student met him for coffee. And after a bit of catching up, he leaned in and confessed something. Fresh out of college, he needed our guests help. So how did he feel when he heard his statement? How he grew up in a poor family, with his Mother on benefits, and remembers the stress that desperately waiting for the cheque to come in would bring. Why it is so important to simply focus on the next step that you have to take in your life, and achieve it before then choosing the next step to take. How Steve Jobs talked about never having a worry for money when he didn’t have any, and also never having to worry about money when he loads of it either. How people nowadays fail to see the opportunities that are in their lives everyday, due not to being given permission to think they can see what’s on offer.